There are lots of choices you must make as a homeowner, from the smallest decisions about how to decorate your home to the larger ones, like what type of energy efficient roofing to have installed on your home. 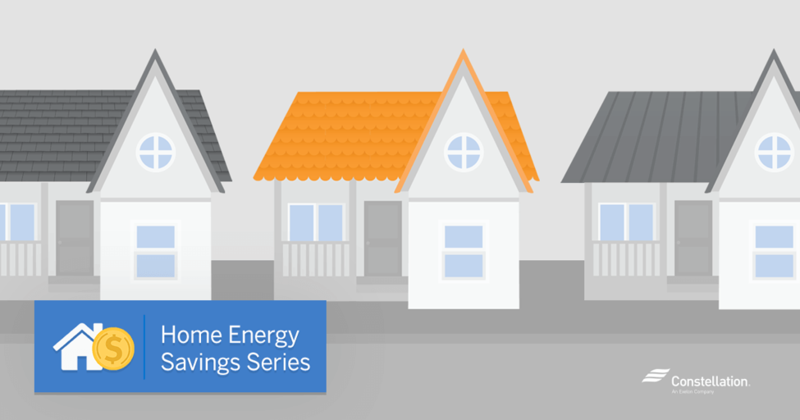 Whether you’re choosing an energy efficient roof for a newly constructed home or looking to replace your current roof with energy efficient roofing materials, you’ll find that there are several types of residential roofs that will help you cut home energy consumption. You will need to weigh your options and consider a variety of factors, such as the climate in which you live, the type of aesthetic you’re going for, and what energy efficient roofing features are most important to you. No matter what type of energy efficient roof shingles you are considering, one of the first things to look for is ENERGY STAR® roofing. This certifies that the materials that you have selected are energy efficient. Solar reflectance and emittance is one of the biggest keys to whether energy efficient roofing materials are certified by Energy Star. Roofing that reflects the sun’s energy and releases it into the surrounding air keeps the upper floors of a home cooler and less energy is required when cooling a home. 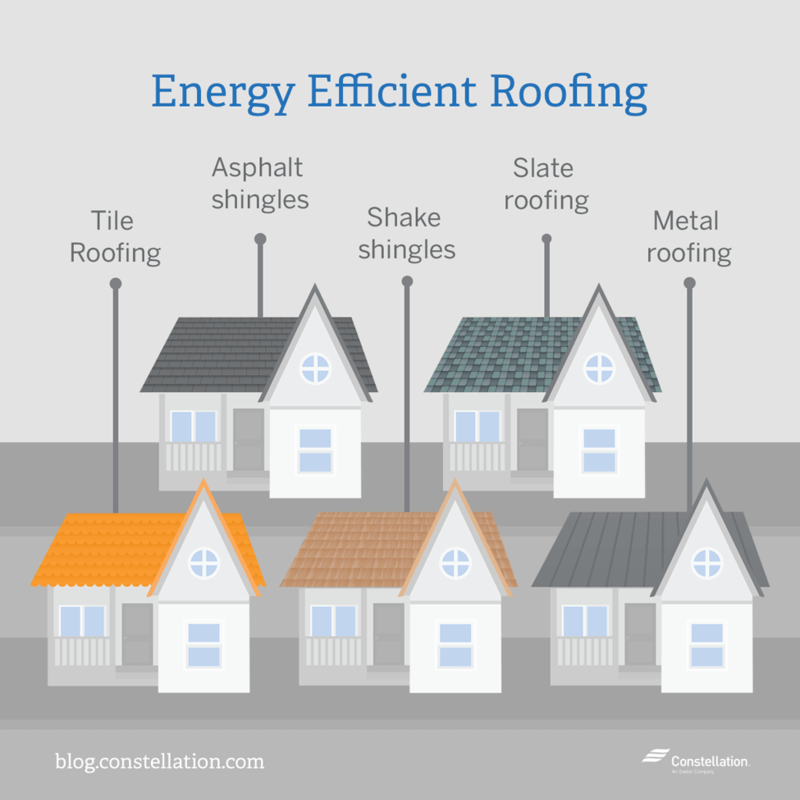 The color of a roof also plays a part in whether the roofing is energy efficient. Lighter roof colors will reflect more of the sun’s energy, while darker colors tend to absorb heat, which can then transfer to attics, where it can seep down into the home. You will want to consider the color of your roofing materials for more than aesthetic value. 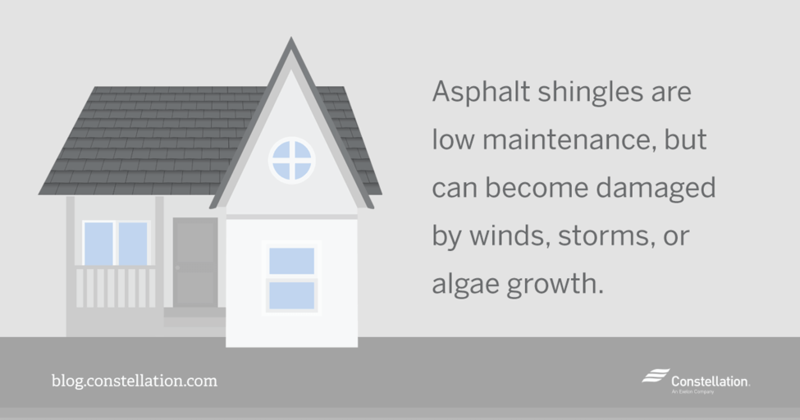 For many homeowners, the final decision comes down to shake vs. asphalt shingles. These are two of the most popular and effective energy efficient roof shingles on the market. Shake shingles are very durable and can withstand strong winds and sudden storms with little damage. They create an energy efficient roof as they allow better air circulation in a home. They are also visually pleasing, especially as the wood begins to mature. 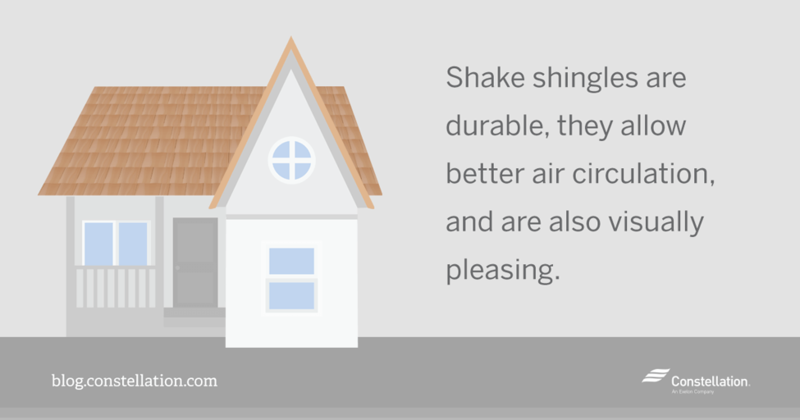 Many buyers choose shake vs. asphalt shingles simply based on their visual appeal. The downside to shake shingles is that there is a lot of maintenance necessary. Wood rot and mildew can create problems, especially in areas that receive a lot of precipitation or are humid environments. Asphalt shingles create a lower maintenance, energy efficient roof. Homeowners can choose from a range of colors and designs for a more unique feel to their roof. One downside to asphalt shingles is that they tend to become more easily damaged in wind and storms. Algae growth is another maintenance concern, though there are preventative coatings available that can help. ENERGY STAR® metal roofing is another popular option for homes. 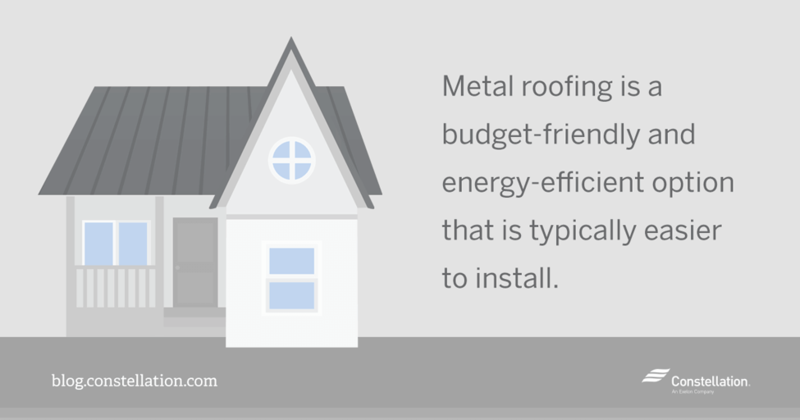 Metal is an energy efficient roofing option that is a good choice for many budgets and typically quick to install. With a little care and upkeep, a metal roof is a long lasting, energy efficient roof that can add a great look to your home. ENERGY STAR® metal roofing comes in two main styles – metal panels and metal tile. Panels are large, energy efficient roofing sheets while tiles are formed shingles, made to look like slate, shake, or other popular styles. There are other popular energy efficient roofing shingles that may be a good fit for your home. Slate roofing is a stunning energy efficient roof option that can last a lifetime. 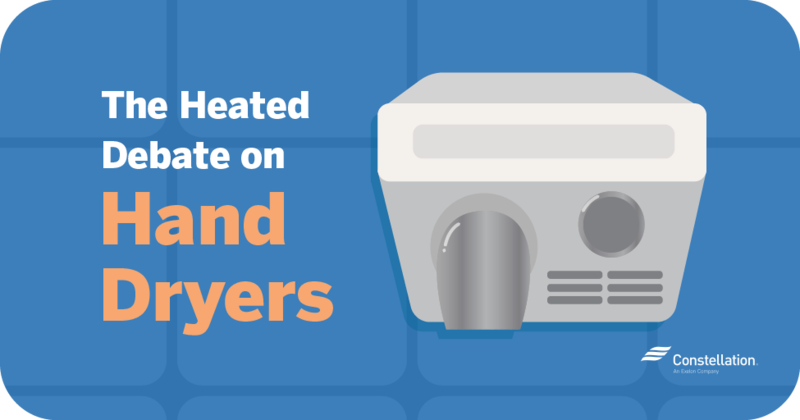 Its density helps to insulate your home, making it a very eco-friendly choice. Tile roofing is also a very aesthetically pleasing energy efficient roof option, but is best for those in warm, dry climates due to its tendency to absorb moisture and reflect sunlight. With new innovations always on the horizon and improvements regularly made to existing energy efficient roof options, homeowners should always research their options when replacing a roof or building a new structure. Carefully considering your needs and looking for ENERGY STAR® roofing materials will help you find the right roof for your home. By understanding the energy efficient roofing materials available and how various energy efficient roof types can come into play, you can make a positive impact on the environment. 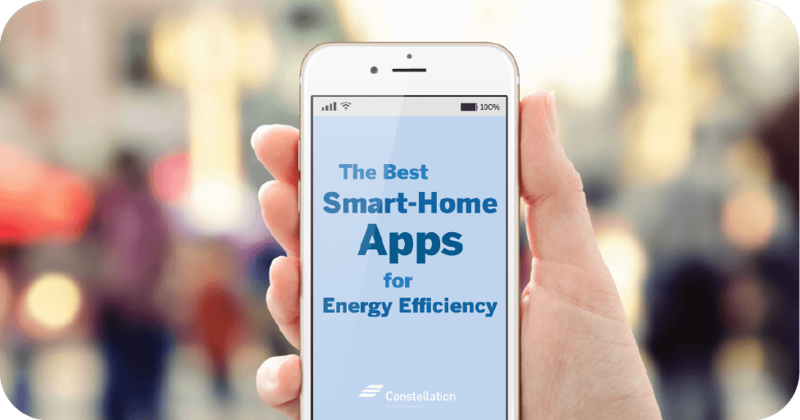 To read about how you can make your home more energy efficient in other areas, follow our energy efficient series. This article was helpful as my husband and I are currently getting quotes for a new roof. One thing it did not talk about, thought, is cool/Energy Star shingles. There seems to be a few different ones out there and I’m a little confused by the choices. It would be great to find a guide comparing them. Are all of the Energy Star shingles “cool?” And are all the cool shingles Energy Star? Hi Laura, that’s a great idea, and we’ve been thinking of writing about Cool Roofs! Stay tuned within the next couple months for more information on them. We, The Hester’s recently replaced and got installed a new Asphalt Roof on our home, April 4th 2017. Hi, Althea! That’s great news! Thanks so much for sharing. How do you like your new roof? 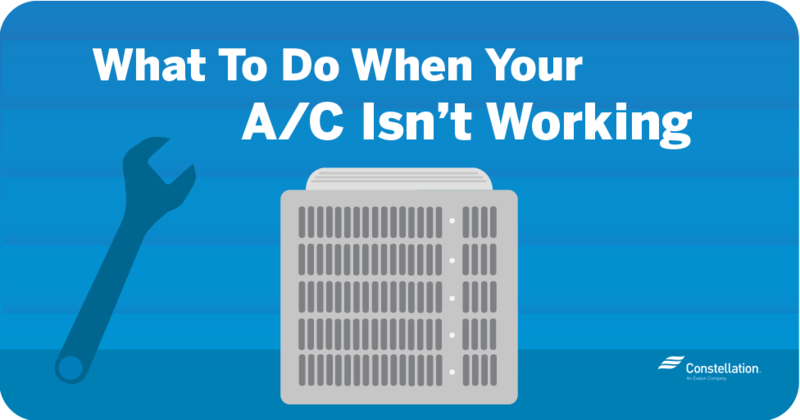 This article was very helpful. I am about to replace my roof and this helped me decide what kind of roof to use. Because rain water collection is possible from a metal or slate roof, I am opting for the metal roof. It would help if you let folks know that rain water can be collected from metal roof most efficiently and it can be used as drinking water and can be easily stored in a rubberized water tank right on your property. Hi, Kathleen. Thank you so much for adding that valuable information. I love when readers chime in to share their thoughts and tips. I am glad that we could help in your decision-making process. Thank you very much for commenting!